Congratulations! 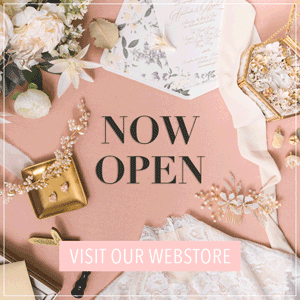 After saying “Yes, I Do!”, the next step is how to make your dream wedding come true! This is where it gets challenging and fun! Do you want to have an outdoor garden wedding? 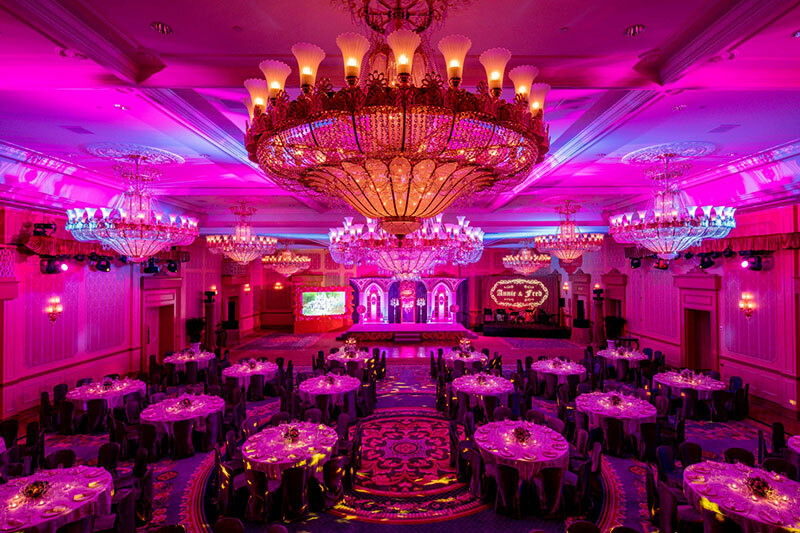 Do you want to host a reception at grand venue? If you answered yes to these questions then you’ll want to keep reading to find out how you can achieve a grand, European-style fairy tale wedding with the following 5 steps. Getting married is an important milestone and what matters most to a couple is that it turns out exactly the way they imagined. 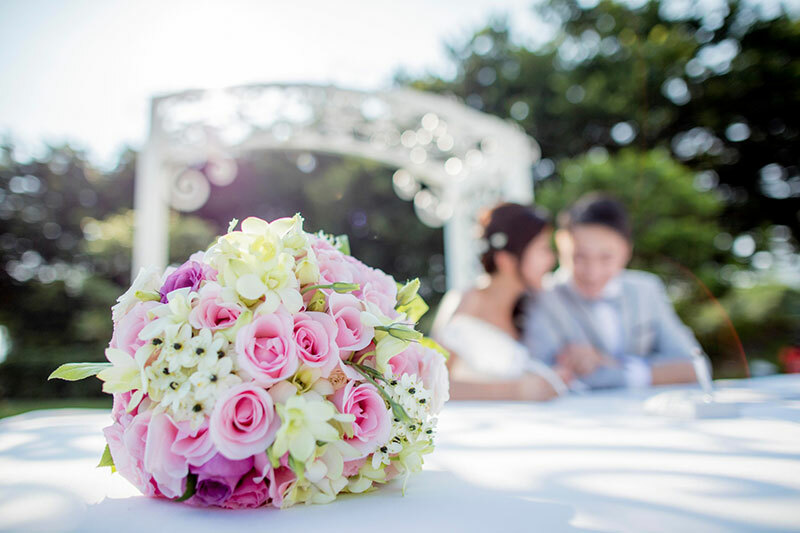 The wedding budget will put everything into perspective–from the ceremony to the wedding banquet. Kind of wedding and all the details around it–be it fancy or simple–will depend on the couple’s budget. Disney’s Fairy Tale Weddings offers a one-stop service and provides many unique themed ceremony, wedding banquet, and photography packages with flexible options that can be adjusted to couples’ needs. Whether it’s a simple ceremony, or a grand wedding banquet, the key to creating a blissful memory is to decide on a theme and style that both you and your loved one like. 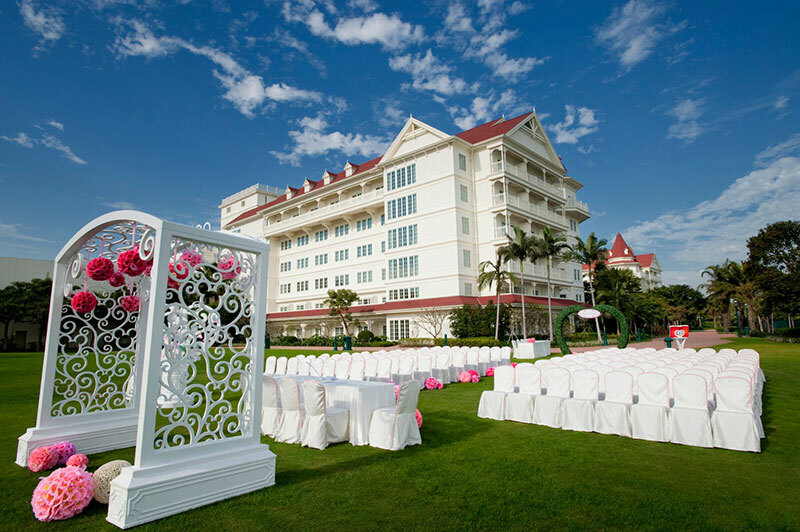 If you want a relaxing and intimate outdoor ceremony, the three outdoor venues in the Hong Kong Disneyland Hotel are good choices. 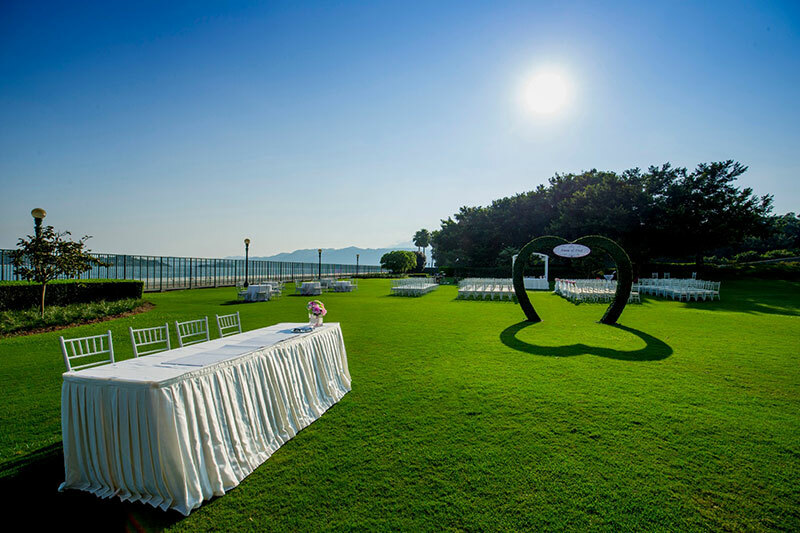 The ceremony can be held in the garden with the blue sky and natural landscape as the wedding backdrop. Guests can take advantage of the view and snap away. 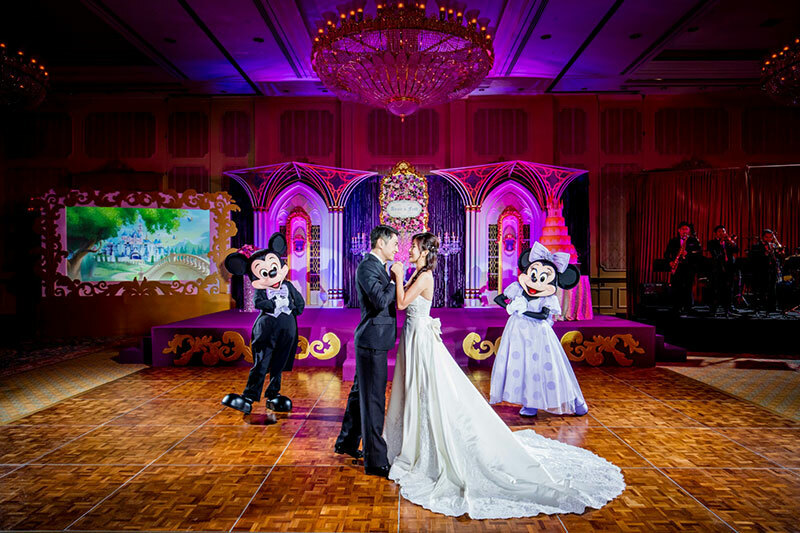 If you want to extend the vibe of the ceremony to the afternoon or evening, the Disney fairy tale reception service offers four featured theme backgrounds including grand “Royal Wedding”, dreamy “Cinderella”, joyful “Mickey and Minnie”, and a personal LED backdrop “A Touch of Fantasy”. And to complete the ceremony, Disney offers a wide array of lunch and dinner menus comprised of Chinese and Western dishes. You won’t have a problem choosing the right dishes for your wedding reception banquet. As the host of the wedding, for sure you will want your guests to enjoy your wedding. Have you ever considered creating a surprise for them? Here are some ways you can make the wedding extra fun and memorable for them. Since you’re hosting a wedding at this fairy tale venue, you cannot miss out on inviting the Disney friends! You can invite Mickey and Minnie, Duffy and ShellieMay to show up during the ceremony or wedding reception to interact with guests and create an exciting vibe. Another way to surprise your guests is to customize the details throughout the day, for example, tailor made fairy tale themed wedding favors that match your theme. Or, you can serve Disney style desserts or cocktail food–how cute this idea is! 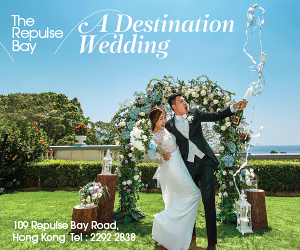 You can even prepare Hong Kong Disneyland park tickets for guests–they’ll love this treat and they can enjoy the wonderful moments at the park even after the wedding! In Western weddings, the first dance is an important tradition. To entertain your guests even more, you can arrange a live band to play romantic love songs and follow a Disney choreographer to make your first dance perfect. Select a photography service that matches your wedding theme and style, a team that can capture the right look you want. 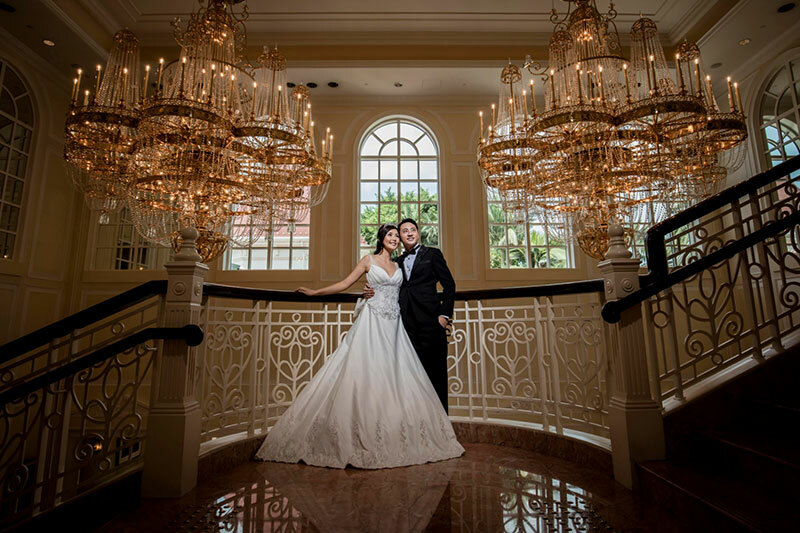 The Disney wedding photography packages allow you to shoot in different iconic locations in the resort during private timeslot, during the day or night. You can refer to this article to know more. 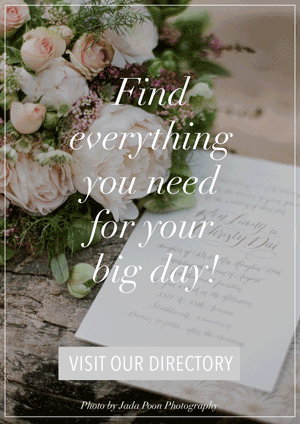 When planning a wedding, there are so many details that need to be taken care of. Couples can always opt to engage a professional and dedicated wedding planning team to help, especially if they’re very busy. Wedding planners can help couples not only in organizing everything, they can also help make thoughtful suggestions. 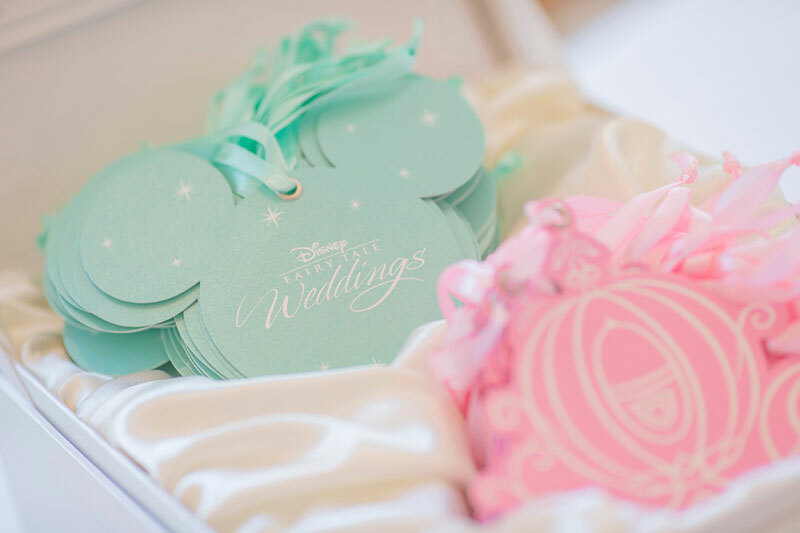 The Disney wedding planning expert can offer a one-stop service that includes engagement, ceremony, and banquet packages according to a couple’s preference and budget. 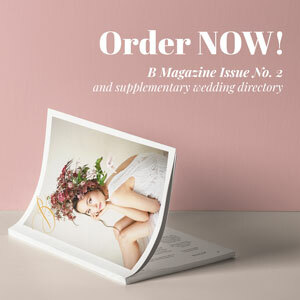 You can easily achieve your dream wedding, stress-free! For banquet holding from now until September 9, 2018 you receive a magical moment with two designated Disney friends! For banquet holding between September 10, 2018 and September 30, 2019, you can extend the lunch banquet beverage service for an extra hour or the dinner banquet beverage service for another two hours. You will also get a one-night hotel accommodation and a shuttle bus service for guests.